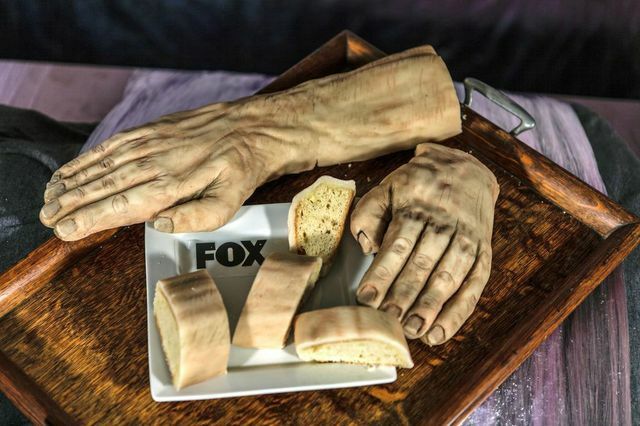 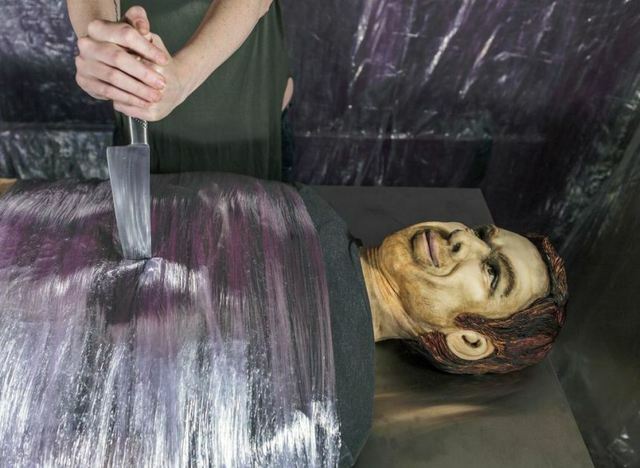 Annabel de Vetten of Conjurer’s Kitchen created a life-sized, hyper-realistic Dexter cake to celebrate the premiere of the show’s final season. 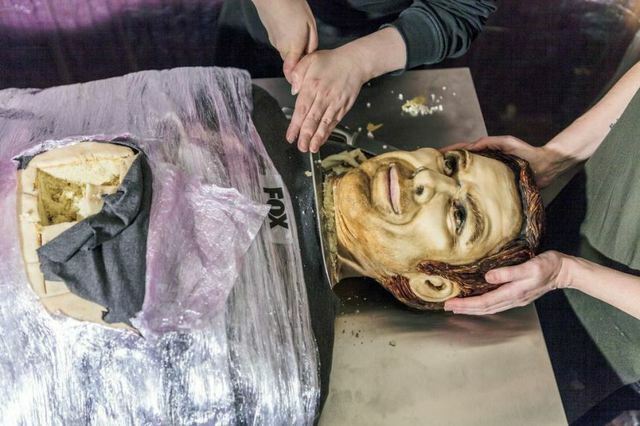 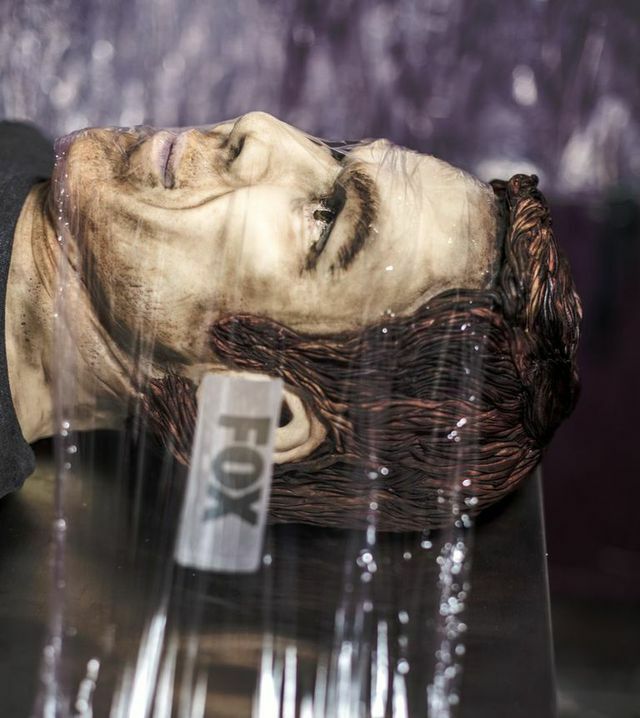 The 5-foot 10-inch long cake — exactly the same height as Dexter Morgan actor Michael C. Hall — weighed over 200 pounds and took more than 100 hours to make. 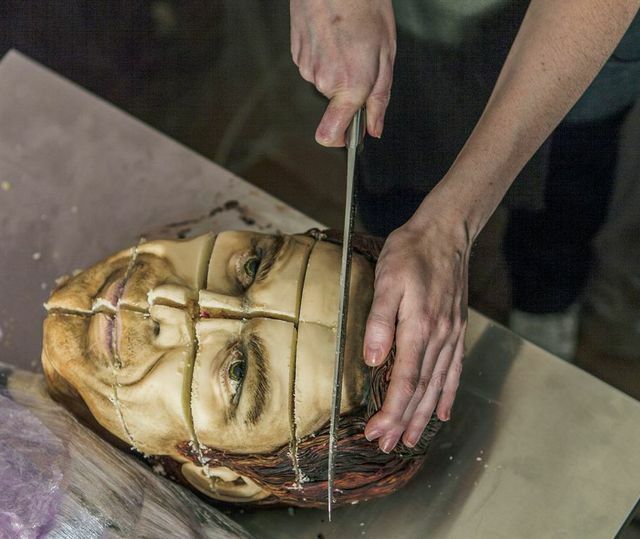 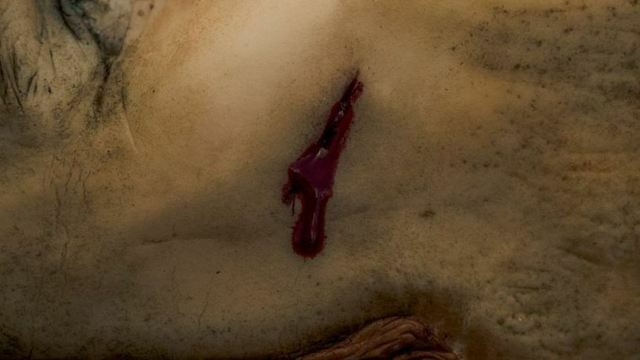 The cake was named “A Slice of Life” after Dexter’s boat, and was flavored with blood orange after the show’s opening credits.